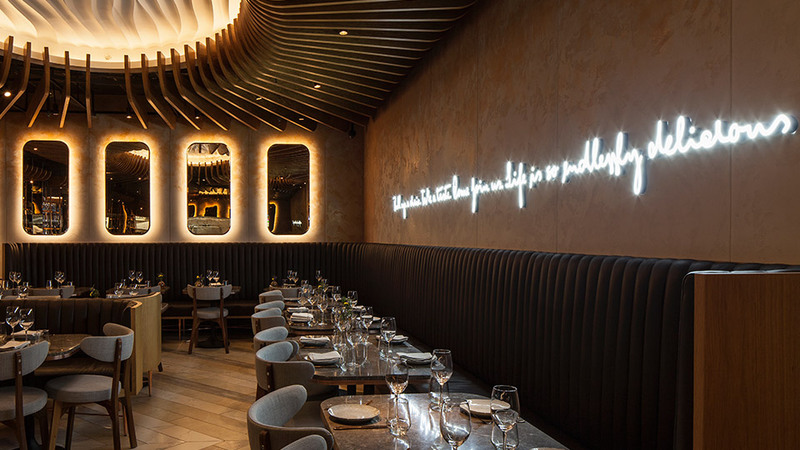 An interior makeover with quirky design details and a new material palette has transformed this Mediterranean restaurant – and the all-LED lighting scheme brings everything to life. There are features galore, but let’s start with the ceiling. 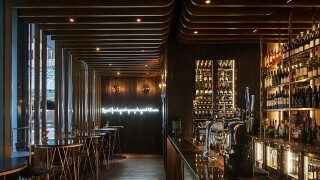 Dark wooden slats and two installations make looking up a delight. 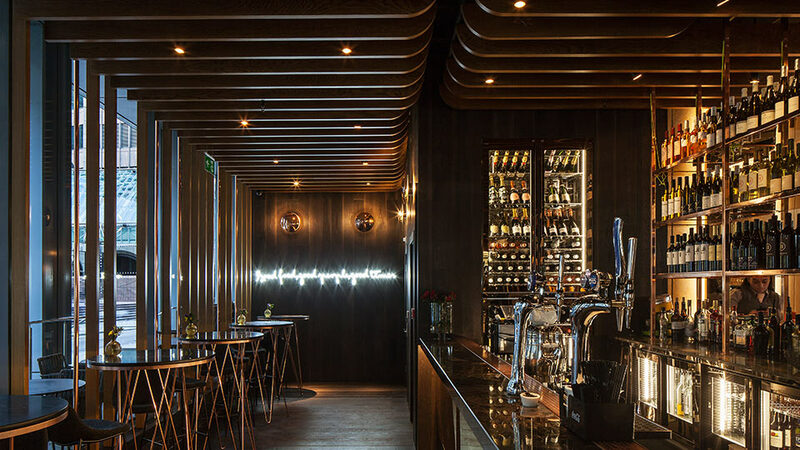 Between the slats sit bespoke can downlights and because of their warm colour temperature, they make the space feel cosy and inviting. And, they’ve been angled towards the tables and bar to form pools of light, making cutlery and glassware sparkle. 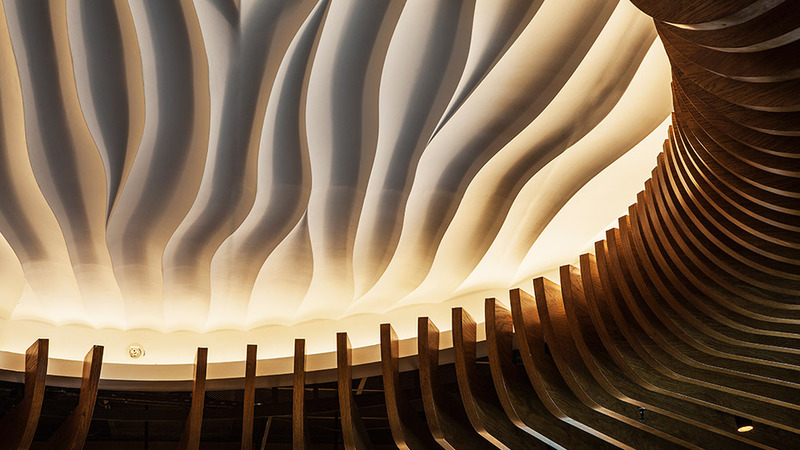 For the two undulating ceiling features, LED modules were carefully positioned around the edge of each installation to wash light onto the white moulded surfaces. 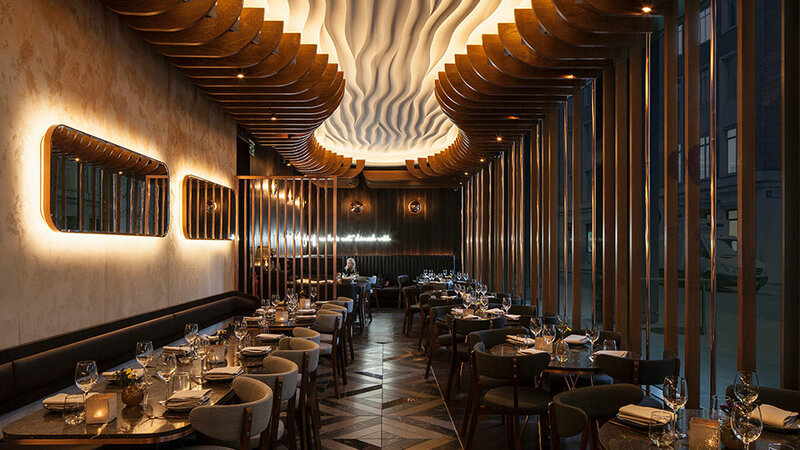 The features look like luminaires in their own right, and they give the restaurant a strong visual identity. Mirrors on textured walls are accentuated with a halo glow, and the effect extends outside, drawing people into the space; on timber walls, custom-made circular lights resemble open shells and highlight the wood’s intricate texture. 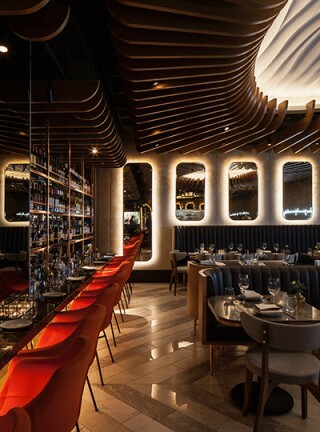 Lighting details continue in the washrooms to create contrast against the dark interior: mirrors radiate light and the back of each cubicle has a wash of cove lighting. The result is definitely dramatic. 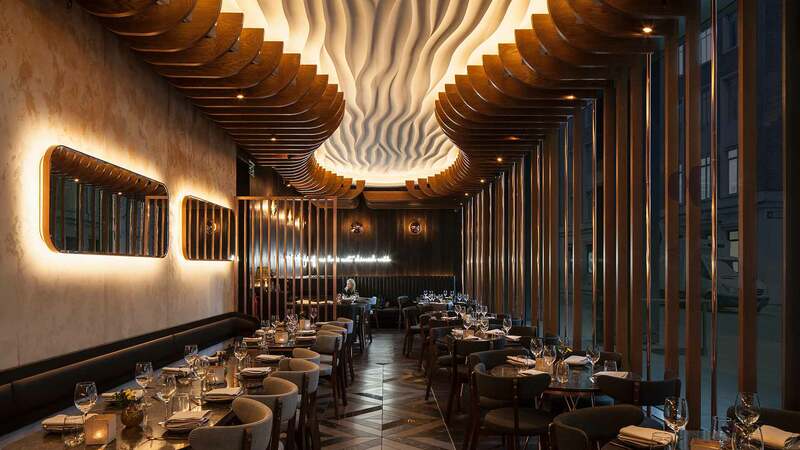 Last but not least, Haz is open from breakfast until late so a lighting control system gives the client the flexibility they need, in order to set the right scene, for the right time of day. 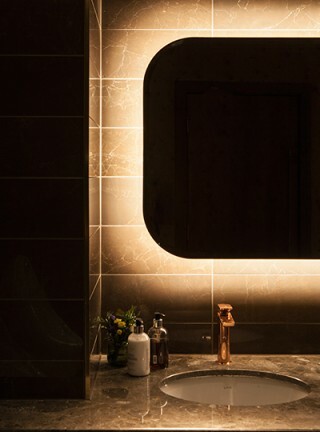 There's plenty to choose from, but it's the bathrooms I love. The dark interior palette and lighting design details create a huge dose of contrast for a dramatic, yet chic, feel.